Photo copyright Sheraton Mirage Port Douglas Resort. 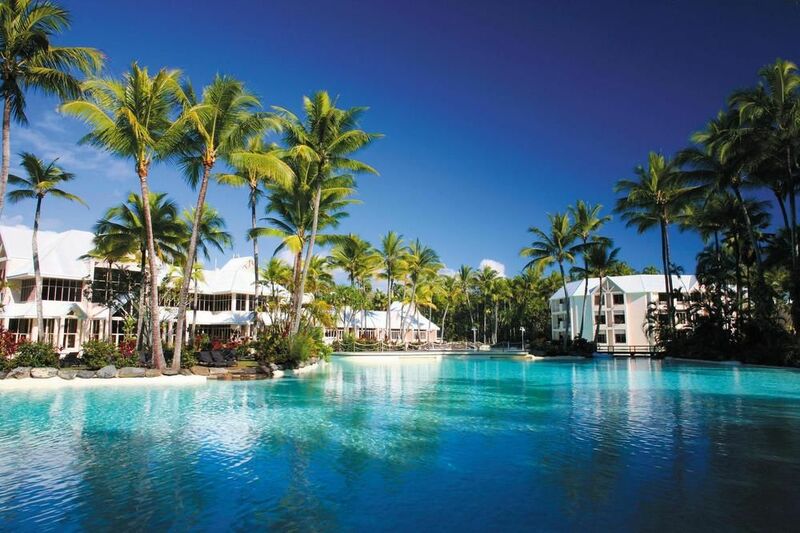 Sparkling blue lagoons with pure white sandy shores will greet you at the Sheraton Mirage Port Douglas Resort. A haven of 5 star luxury, our resort is uniquely nestled between two UNESCO World Heritage sites—the Great Barrier Reef and the Daintree Rainforest. We’re conveniently located just 1 hour from Cairns International Airport and only minutes from the picturesque seaside village of Port Douglas with shopping, galleries, restaurants, marinas, and more. Perfectly poised on Four Mile Beach, our resort is the only 5 star beachfront resort in Port Douglas. Set in 147 hectares of lush tropical gardens with 2 hectares of magnificent swimmable blue lagoons, our location is matched only by the standard of indulgence, opulence, service and style that Sheraton Mirage is renowned for. Our 294 superbly appointed rooms and suites, plus over 100 split-level villas offer a seamless blend of comfort and style. Settle in and enjoy your surroundings—every inch of our rooms and suites have been designed with your comfort in mind. Resort rooms feature king or twin double beds, spacious sitting areas, marble bathrooms, High Speed Internet Access, and stunning views of the lush tropical gardens, landscaped golf course, or sparkling blue lagoons. Some rooms feature private lagoon terraces or balconies and Jacuzzi spas. Connect with loves ones and share a delicious meal with a tropical North Queensland twist in our tempting array of restaurants and bars. Be simultaneously challenged and inspired at our stunning 18-hole championship golf course at the Mirage Country Club. A spectacular location combined with innovative venues and first class service make our resort an idyllic setting for any world class event. Our range of unique venues include the pillarless Glade Pavilion, the largest resort conference facility in tropical North Queensland. Or, if you are planning your dream wedding, imagine beginning your lives together in a tropical paradise and exchange vows in our beachfront Crystal Wedding Chapel. Come and see why readers of Luxury Travel & Style Magazine continually rank us as one of the Gold List’s “Best Australian Resorts” and "Best Australian Golf Resorts.” Reconnect with what’s most important to you and make some great new memories with family and friends at Sheraton Mirage Port Douglas Resort.